Dr. Darryl D. Cuda was born in Hawaii and raised in Oregon where he attended Portland State University, graduating in 1981 with degrees in Biology and Music. He was commissioned to the United States Army in 1982 after being accepted to Medical School at the Uniform Services University of the Health in Bethesda, Maryland. He graduated with an M.D. in 1986. Subsequently, he did his internship and residency in orthopedics at William Beaumont Army Medical Center/Texas Tech University in El Paso, Texas, completing this in 1993.The following four years were spent in Europe, primarily based in Germany and Italy where he held various orthopedic surgical staff positions both as an Orthopedic Flight Surgeon as well as Deputy Chief of Clinical Servicse of a MASH unit. During that period of time and before his nine month tour in Bosnia, he was awarded the Army Surgeon of the Year for 1996-1997. Upon returning to Brooke Army Medical Center in San Antonio, he did a fellowship in orthopedic traumatology and remained on staff as a staff trauma surgeon and a general orthopedic surgeon with Brooke Army Medical Center. In 1998 he elected to voluntarily leave the Army and completed a foot and ankle fellowship in San Antonio, Texas. He stayed with South Texas Foot & Ankle Orthopedic Group until 2001 where he moved into solo practice and remained in San Antonio. 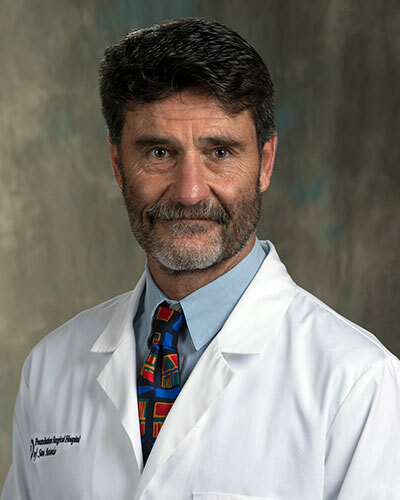 Dr. Cuda continues to be a staff member at BAMC/Institute of Surgical Research and an Associate Professor at University of Texas Health Science Center as well as the Uniform Servicse University of the Health Sciences. Dr. Cuda is currently an Elite, All-American, Nationally ranked Top 100 USA Triathlete with a vested interest in the care of fellow endurance athletes. Dr. Cuda is married to Suzanne Cuda, M.D. and has five children. Specializing in foot, ankle and knee surgery.